You've just moved into a condo in Manhattan and the previous owners left behind a hot tub you neither want or need, or you want a new hot tub and need to get rid of your old hot tub. However, disposing of something as large a hot tub can be a real problem for most people. You can't exactly load a hot tub into your trash bin to be picked up by the city nor is it easy to carry such a lot piece of equipment very far. So just how do you get rid of that big unwanted hot tub? 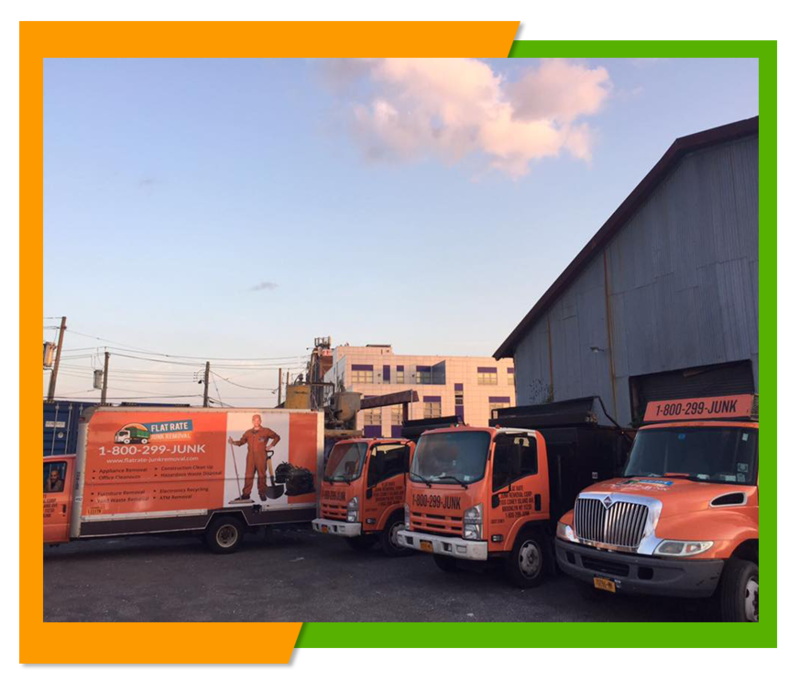 Flat Rate Junk Removal to the Rescue! 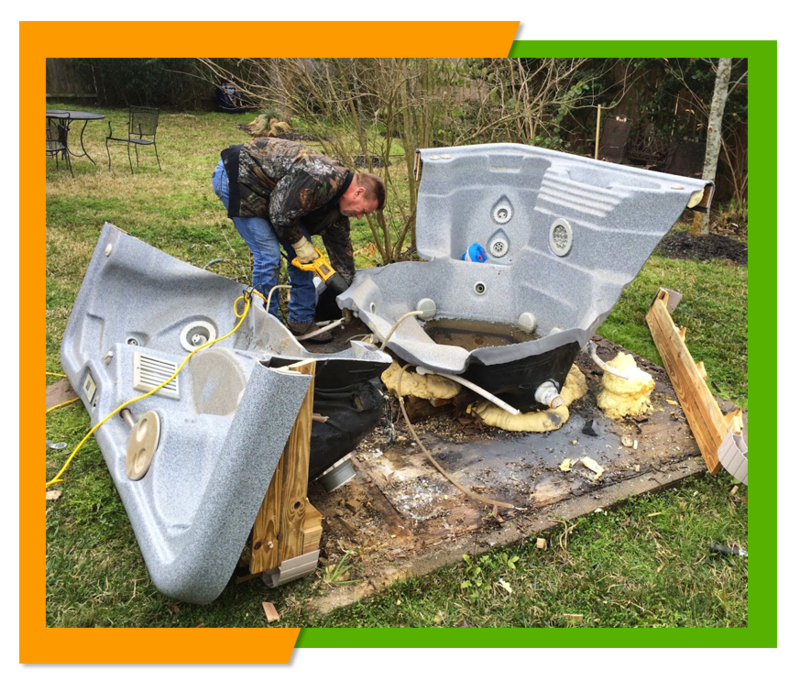 Here at Flat Rate Junk Removal we can come to your rescue and remove that hot tub for you. Best of all we will do all of the heavy lifting for you, you simply give us access to the hot tub and our 2 man crew with dismantle the tub and place it onto our truck. Some of the parts of your hot tub may be able to recycled and we will also take care of recycling those part for you saving you time and frustration of trying to decide where to dispose of that tube and what parts should be recycled. Some junk companies charge premium rates for disposing of large items such as that hot tub. Here at Flat Rate Junk Removal we offer a flat rate for you junk so it doesn't matter whether you have one or two extra items or several small items you want to dispose of we charge the same amount per load, saving you money on disposing on those extra items. In addition, you will never find any extra unexpected charges added to your bill when you deal with our company. We tell you our charges right up front before you have us cart away that unwanted junk. So you know before you hire us whether or not our service will fit in with your budget. If you would like a free estimate for our services based on your specific needs all you have to do is call 1-800-299-5865 and request a free estimate. We will send someone out to your location to take a look at the amount of junk you need to have hauled away and give you a free estimate based on our simple flat rate fee. Once you agree to the estimated cost then we can set up an appointment to haul away that junk for you. In most situations we can give you same day service if that is what you would like or need. To learn more about the other junk hauling services we offer take a few minutes to visit our service pages right here on our website at www.flatrate-junkremoval.com. Or you can talk to our representative and have any questions you have answered, get a free estimate or schedule a junk removal appointment by calling 1-800-299-5865.